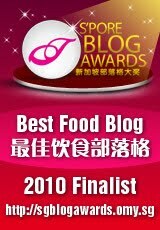 I never knew what dry-farmed tomatoes were until I read this post. After tasting some super-sweet and juicy dry-farmed tomatoes this summer, I really do not miss industrial-farmed tomatoes, even when labeled organic and/or vine-ripe, any time soon. Oh my, how true is that! 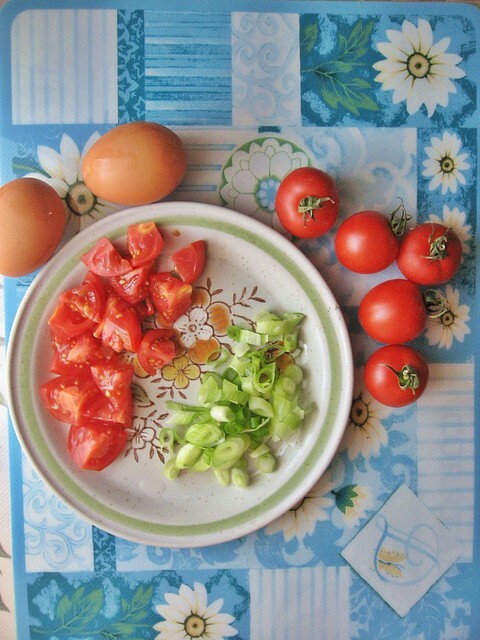 These dry-farmed tomatoes are so sweet and juicy in my own bare-taste test and perfect for this simple Tomato Scrambled/ Fried Eggs recipe. 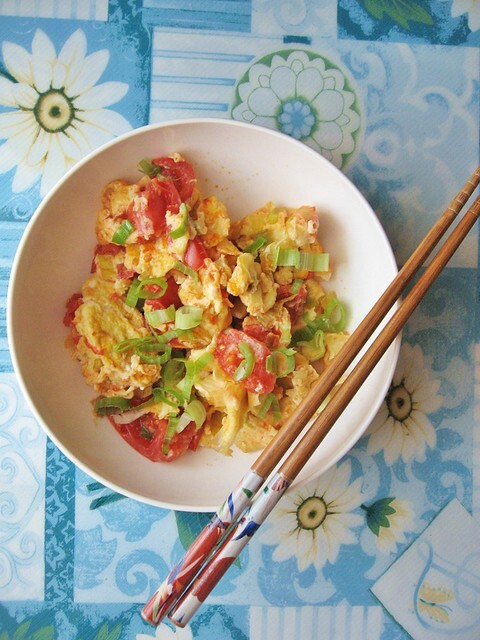 The key to this dish is not to over-cook the egg such that it becomes too dry. 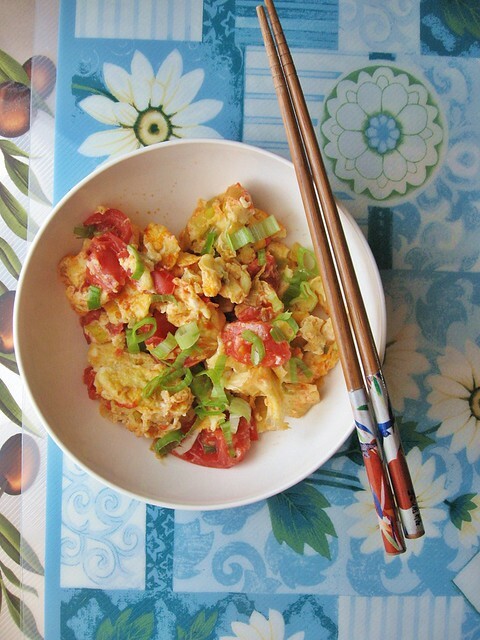 The perfect tomato fried eggs should be moist, fluffy, sweet, savory and fragrant. 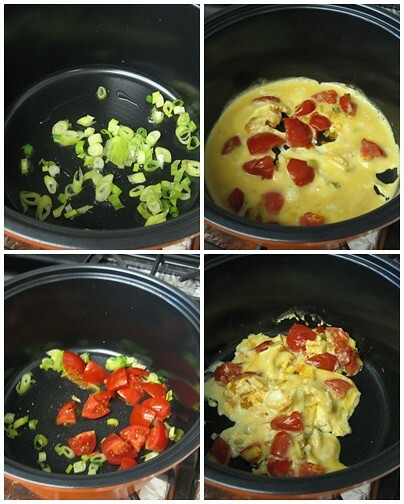 Directions: Saute the green onions (white parts) and then add the tomatoes and cook till some juices are released. Slowly add in the whisked egg and before the under-side is firmed up, break the egg up gently such that they are partially scrambled. Do not keep turning and tossing the eggs as it will dry up the eggs very fast. Just allow the heat to slowly cook the top parts of the eggs from "more runny" to "less runny". Turn off heat. Drizzle the sesame oil over the eggs, cover the pot and allow the remaining heat to cook the eggs. Sprinkle in green onions garnish (green parts).